I've had a lifelong interest in natural history, especially zoology. Why are there so many types of some animals and so few of others? How did animals acquire characteristics that so suit them to one environment but not others? Why are some animals found in one place but not another and how did they get there? Why do animals display an array of often bizarre behaviors? Why are some animals extinct? I came to learn that all of these questions are answered within a single scientific framework, biological evolution. I've since been lucky enough to play a small role in the scientific community studying animal behavior and evolutionary biology. After considering studying primates, fishes and whales I finally decided on studying birds. Birds for many people are the first, and maybe only, wild animal they see when they walk outside. Birds display a dazzling diversity and for many avian species their accessibility makes them more amenable to study than many other animals; such as monkeys, tuna or dolphins for example. Whether it's their melodic song, brilliant colors, spectacular variety, or connections to dinosaurs, birds have proven to be powerful exemplars of the power of evolution to shape biological diversity. My research interests start with the organisms themselves but I'm also fascinated by the tools biologists employ to trace evolutionary histories and measure evolution in action. Virtually all of my research has made use of molecular genetic tools to peer into the hidden lives and evolutionary history of wild animals. Whether as a means to assign paternity to uncover covert mating patterns or as a marker of relatedness among species, molecular genetics has proven invaluable in the study of evolution. Genes tell stories. Patterns of genetic variation among individuals, populations and species tell the story of how those organisms came to be and the forces that shape their evolution. Using genetic data to tell the historical story of the origin of species, their adaptations and their population variation is at the core of my research program. With the help of friends and colleagues around the world I've managed to build an international research collaboration studying population genetics, phylogeography, systematics and evolutionary history of the birds of East and Southeast Asia. My collaborators and I have explored Japan, Taiwan, and Mainland China, with collaborative participation in studies of birds and mammals in Southeast Asia and the Philippines. My colleagues and I have published 7 peer reviewed research articles over the past 4 years on the evolutionary history and population level relationships of the birds and mammals of East Asia, Southeast Asia and the Philippines, climate change education, the importance of museum collections, molecular evolution, and genomics as a tool for uncovering population history in endangered animals and have several more articles on the evolution of the regions birds in preparation and new emerging projects in the planning stages. We also have several ongoing projects on the phylogeography of North American birds emerging projects in avian and mammalian molecular evolution and genomics. After nearly 25 years of studying birds I'm beginning to look to studies of amphibians, reptiles, and mammals to add to my research program. My colleagues and I are beginning to investigate the population genetics and evolutionary history of North American snakes and salamanders with additional emerging projects on freshwater fishes, mammals and, maybe in the future, jumping spiders. 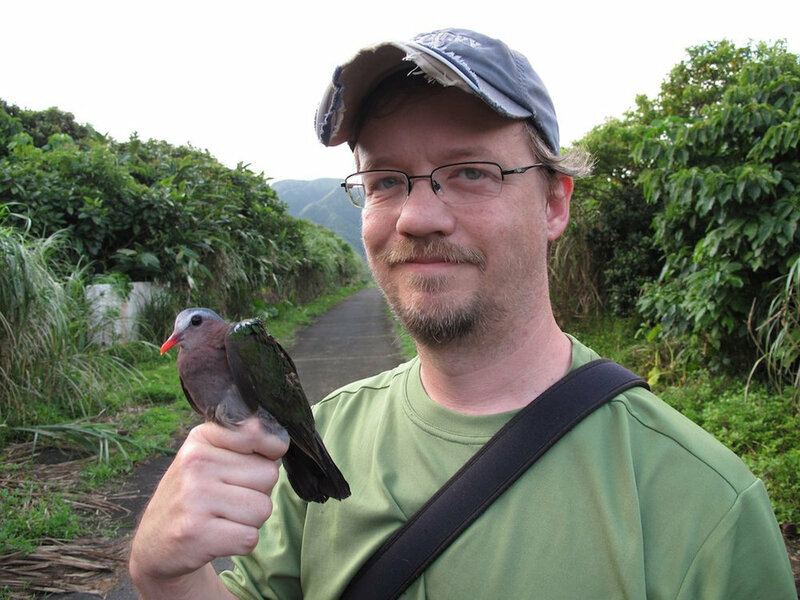 I have a PhD in evolutionary ecology from the University of Kentucky and studied the mating system of the Yellow-breasted chat (Icteria virens) for my thesis research. I've been a postdoctoral fellow, assistant professor and a museum curator in zoology at Cincinnati Museum Center. While at the Cincinnati Museum Center I maintained concurrent adjunct appointments at several local colleges and universities, including Thomas More College, Xavier University and the University of Cincinnati. As of 2014 I am an assistant professor in genetics in the Department of Biological Sciences at Marshall University. Go herd! With funding from the National Science Foundation I established the Molecular Ecology and Systematics Laboratory (MolES Lab) at Cincinnati Museum Center where research and training in DNA technology is done in a museum setting and molecular tools are brought to bear on basic questions in evolutionary biology. Community users of the lab have included the Cincinnati Zoo and Botanical Garden, Xavier University, Thomas More College, Marshall University and the Ohio River Sanitation Commission. During my tenure as director of the MolES Lab we have hosted numerous visiting researchers and trained nearly two dozen undergraduates, 1 graduate student, 1 visiting postdoctoral researcher and 8 high school students as well as staff from the Cincinnati Zoo, faculty from Xavier University and area high school educators. Now that my research program has moved to Marshall University we are bringing on new students and collaborators, establishing new projects and moving in new and exciting directions while still maintaining ties to the Cincinnati Museum Center as a research associate. I also like trying my hand at some science writing and public speaking and, to the best of my abilities, conveying the complexities of evolutionary biology to the general public. I've participated in the inagural 2010 TEDxCincinnati event as an invited speaker and have delivered informal public talks at the Cincinnati Museum Center and numerous regional science and nature organizations. I also share my interests in science through blogs and social media, including twitter. Check back here occasionally for updates and please send your feedback. Please contact me with questions or if you are interested in collaborative research, undergraduate research opportunities if you are a Marshall University student or masters level graduate opportunities. Citations of the scientific publications from my collaborators and I are available at Google Scholar Citations and ResearchGate. DISCLAIMER: The views expressed on monofilia.org are mine alone and do not necessarily reflect the views of my employer, Marshall University.